Here is the story on CBS News. Chick-fil-A’s president spoke out against gay marriage last week, sparking a huge uproar in the gay community, and now the issue is spilling over to a Colorado bakery. The owner of Masterpiece Cake Shop in Lakewood refused to bake a wedding cake for a local gay couple and now people are pushing a boycott against the owner. Shop owner Jack Phillips probably didn’t think he was going to be wading into a civil rights debate a week ago when he told the gay couple that he would not make a cake for their wedding, but that’s exactly what has happened. Dave Mullin and Charlie Craig say they dated for nearly two years before getting engaged. They went into the Masterpiece Cake Shop thinking they’d spend a full day trying cakes for their ceremony. Instead the meeting lasted a few seconds. “My first comment was, ‘We’re getting married,’ and he just shut that down immediately,” Craig said. Naturally Dave and Craig couldn’t just decide to get their cake someplace else. Just because Jack Phillips owns his business doesn’t mean he is allowed to run it the way he wants to according to his values. Mullin and Craig were stunned. They went online and posted their experience on Facebook. The response has been huge. It wasn’t the first time the shop turned down gay couples who wanted a cake. Phillips has received more than 1,000 angry messages about his stance. Personally, I would have sold them the cake. Whatever he may think of their lifestyle, their money spends as well as any and no business can afford to turn away customers without good reason. Still, it is his business and he can run it however he pleases. This again, to me, is a freedom issue. If you think Phillips is being a jerk about this, than freedom has to include the freedom to be a jerk. Otherwise it is not really freedom at all, and of course Dave, Craig and friends are completely free to take their business elsewhere. Gay Mob Targets Baker Who Won’t Bake for Gay Wedding (Video) (thegatewaypundit.com) And again this is the whole issue. If the baker doesn’t wan to make them a cake, he shouldn’t have to. I have heard it said that a gaffe is when a politician accidentally tells the truth. By that standard, I am not sure that the comment that Mitt Romney made in Jerusalem regarding the economic disparity between Israel and the Palestinians really qualifies since I am certain he knew exactly what he was saying. But first, the story according to the Christian Science Monitor. Romney’s statement on Jerusalem was not well received by the Palestinians, but the candidate didn’t stop there, adding a comment Monday about culture and prosperity that elicited even more condemnation. Aside from angering the Palestinians, the problem with referring to Jerusalem as the capital of Israel is that, officially, the United States – in line with most of the international community – does not recognize Jerusalem as Israel’s capital. Instead, it considers the city’s status an issue to be negotiated between Israelis and Palestinians, who claim East Jerusalem – seized by Israel in the 1967 war – as their capital. As a result, the US keeps its embassy in Tel Aviv. I think we should recognize Jerusalem as Israel’s capital and move our embassy there. Jerusalem has been the capital of every Jewish state since the time of King David and no one else has a claim on it, except the Jebusites, if any are still around. No mention from the would-be US president of the trade and mobility restrictions that Israel maintains over the occupied territories of the West Bank and Gaza – restrictions that both the World Bank and the International Monetary Fund have said for years are key factors in hampering Palestinian economic growth. Palestinian leaders quickly blasted Romney’s “culture” comment as “racist” and added that he failed to take into account the impact of Israel’s tight grip on the Palestinian economy. Somehow, I find myself not caring too much what the Palestinians think. That culture makes the difference shouldn’t be a controversial statement at all. A country that educates its population in the latest in science and technology and allows freedom of speech and thought is always going to prosper far more than a country that trains their citizens in hatred and has a repressive and corrupt government. If it is a matter of geo-political considerations, than I would note that Israel has been a country under siege for its entire history and yet they have somehow managed to create a diverse and vibrant economy. And then too, Israel probably wouldn’t be imposing trade and mobility restrictions if the Palestinians had not been making it perfectly clear that they prefer war with Israel to peaceful economic development. I have a feeling that the Palestinians would be a whole lot better off if they gave up on their death cult and learn to live in peace. China Says Romney’s Comments on Jerusalem Wrong – ABC News (abcnews.go.com) I’ll start caring what the Chinese think about this when they withdraw from Tibet. Romney goes racist in Israel (secularnewsdaily.com) Yes, noting that a culture that does not encourage suicide bombing does better than a culture that does is racist. From the fund raising e-mails I have been getting lately, I am starting to think that the Democrats are not too confident they are going to win this November. First there’s Donna Brazile. If you’re hoping that Democrats win the Senate, I’ve got to talk straight with you: Hope isn’t enough anymore. The election is just 99 days away, and if we wait any longer to act, we could lose the Senate. The FEC deadline is in 24 hours and we’re $250,000 away from our goal–can you contribute $5? Sherrod Brown’s lead is practically gone after getting outspent 3-to-1. Elizabeth Warren’s words are being twisted and distorted, and now she’s in a dead heat. Republicans are stooping to the lowest lows to win. They’re using dirty voter suppression tactics and distorting the records of progressives, and it’s working. We’ve got a choice. We can hope for the best and watch Republicans take over government. Or we can fight for progressives like Elizabeth Warren and Sherrod Brown. I am surprised that Elizabeth Speaks with Forked Tongue Warren is even with Scott Brown. I would have thought that with her embarrassing claims to be a Native American would have put her far behind. This is Massachusetts though. They kept that murderer Ted Kennedy in office. The only way we win this election is by each of us stepping up to do our part. I’m going to be blunt: Before tomorrow’s FEC deadline, the campaign needs your support more than ever. We’ve been outraised by Mitt Romney and the Republicans — by tens of millions of dollars — for two straight months. But while their money comes mostly from very wealthy donors, corporations, and special interests, our campaign is powered by you. That’s a point of pride. He forgot to mention the unions and Hollywood celebrities. James Carville is joining in. I wish I had good news for you. I want to tell you that President Obama has a second term in the bag. I want to tell you that the Koch Brothers are giving up their plot to buy the election. But here’s where things really stand: We’re gonna have to go through hell and high-water to win this damn thing. It’s gonna be hard. Every big-oil billionaire and Republican Super PAC is throwing the kitchen sink at President Obama. If we don’t fight back, it’ll be over long before November. That all sounds like good news to me. Did you notice that their troubles are due to evil, shadowy, big money donors like oil billionaires and the Koch Brothers? It couldn’t possible be due to the terrible record of President Obama. Last and least, there is Al Gore. The last thing we want is the Republican Party — a party that’s been hijacked by an extremist fringe — to win the White House and tighten its grip on Congress. That would spell disaster for our economy and our environment. Karl Rove and the ultra-conservative Koch brothers are pouring millions of dollars into this campaign. Democrats are depending on the individual support we get from people like you. To paraphrase Inigo Montoya, the Democrats keep using that word extreme. I do not think it means what they think it means. I would say that the party with the candidate who promised to fundamentally transform the United States, who voted against the born alive act, who fought the Catholic Church over contraception coverage, and who routinely disparages small businesses could be considered just a little extreme in some circles. In fact I would say that the Democrats have been turning more and more extreme since at least the McGovern campaign. I wish I had seen this article from AP before writing my post What were they thinking? I would surely have added this story in. Charles and Te’Andrea Wilson say they had set the date and mailed invitations, but the day before their wedding they say they got bad news from the pastor of predominantly white First Baptist Church of Crystal Springs: Some members of the church complained about the black couple having a wedding there. Pastor Stan Weatherford told WLBT TV (http://bit.ly/QSNlf8 ) he was surprised when a small number of church members opposed holding the wedding at the church. “This had never been done before here, so it was setting a new precedent, and there are those who reacted to that because of that,” said Weatherford. “I didn’t want to have a controversy within the church, and I didn’t want a controversy to affect the wedding of Charles and Te’Andrea. I wanted to make sure their wedding day was a special day,” said Weatherford. WLBT reported that church officials now say they welcome any race. They plan to hold internal meetings on how to move forward. It seems rather incredible that something like this could happen in this day and age. In fact, segregation in the church is one of the greatest scandals of American Christianity. In the past, almost every Protestant denomination split along racial lines with Black churches forming to avoid the discrimination suffered by Blacks who worshipped in predominantly white churches, especially in the South. This sort of segregation continues to this day, albeit on a voluntary basis, as I read in this report from CNN. The Rev. Paul Earl Sheppard had recently become the senior pastor of a suburban church in California when a group of parishioners came to him with a disturbing personal question. They were worried because the racial makeup of their small church was changing. They warned Sheppard that the church’s newest members would try to seize control because members of their race were inherently aggressive. What was he was going to do if more of “them” tried to join their church? “One man asked me if I was prepared for a hostile takeover,” says Sheppard, pastor of Abundant Life Christian Fellowship in Mountain View, California. The nervous parishioners were African-American, and the church’s newcomers were white. Sheppard says the experience demonstrated why racially integrated churches are difficult to create and even harder to sustain. Some blacks as well as whites prefer segregated Sundays, religious scholars and members of interracial churches say. Americans may be poised to nominate a black man to run for president, but it’s segregation as usual in U.S. churches, according to the scholars. Only about 5 percent of the nation’s churches are racially integrated, and half of them are in the process of becoming all-black or all-white, says Curtiss Paul DeYoung, co-author of “United by Faith,” a book that examines interracial churches in the United States. DeYoung’s numbers are backed by other scholars who’ve done similar research. They say integrated churches are rare because attending one is like tiptoeing through a racial minefield. Just like in society, racial tensions in the church can erupt over everything from sharing power to interracial dating. DeYoung, who is also an ordained minister, once led an interracial congregation in Minneapolis, Minnesota, that eventually went all-black. He defines an interracial church as one in which at least 20 percent its membership belongs to a racial group other than that church’s largest racial group. The men and women who remain and lead interracial churches often operate like presidential candidates. They say they live with the constant anxiety of knowing that an innocuous comment or gesture can easily mushroom into a crisis that threatens their support. There is much more, and although this was written back in 2008, I do not think things have changed much. It is understandable that people tend to want to associate with those who look like them and think like them, but this is contrary to scripture. As Paul wrote. Therefore, remember that formerly you who are Gentiles by birth and called “uncircumcised” by those who call themselves “the circumcision” (which is done in the body by human hands) — 12 remember that at that time you were separate from Christ, excluded from citizenship in Israel and foreigners to the covenants of the promise, without hope and without God in the world. 13 But now in Christ Jesus you who once were far away have been brought near by the blood of Christ. It would seem then that the existence of segregated churches is contrary to the desire of Jesus Christ who wants all Christians to be united in one body. I don’t honestly know how to make that happen. Maybe white churches could pair with black churches of the same denomination and worship together for one Sunday a month. Preachers and pastors could make an effort to reach out to the unchurched of different races, etc. Southern Baptists elect 1st black president (thegrio.com) This is a start. I know that writing a book is always hard work, yet I cannot help but think that Unusually Stupid Celebrities must have been an easier book than most to write given the sheer volume of anecdotes about celebrity stupidity, vanity, avarice, and egotism out there. In fact, the chief difficulty would be how to decide which stories to include and which to leave out. I have no doubt that Kathryn and Ross Petras could easily have ended up with a book twice the size that was published. Still, I have to wonder what is the point of it all. Unusually Stupid Celebrities is an easy and fun book to read and the stories are all funny. But anyone who has ever seen the cover of a supermarket tabloid already knows that these people are the most worthless lot of self-indulgent fools in the world. In a way, a book like this is almost too easy, like shooting fish in a barrel. If there is anyone who still admires these people, this book might serve to disillusion them. President Obama had some interesting things to say on his weekly radio and internet address. The transcript can be found here at whitehouse.gov. But right now, that’s not the case. Instead of doing what’s right for middle class families and small business owners, Republicans in Congress are holding these tax cuts hostage until we extend tax cuts for the wealthiest Americans. I guess President Obama’s idea on how to grow the economy is to take more money from the people who create the jobs and give it to the government to spend on stimulus projects that reward his supporters. No wonder the economy is heading back in to a recession. But note that tax cuts are considered to be spending more. It is as if Obama believes that the government owns everything and any income left over after taxes is a gift. Well, that is not too surprising. I think that politicians of both parties believe that. He has a lot of nerve talking about record deficits. I will concede the Republicans were responsible for a good portion of the deficits during the Bush years, but this was more the result of their abandoning their principles and going on a wild spending spree than the tax cuts. 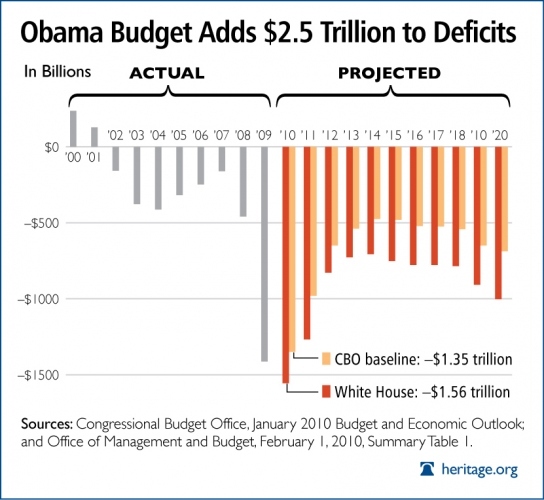 But Bush’s deficits are dwarfed by Obama’s. And if Obama really wants the economy to grow and more jobs to be created, than maybe he should stop disparaging the people who can make it happen. I often see items in the news that make me wonder, not so much what were they thinking as were they thinking? I ran across two such items today. First, someone in Idaho put up this billboard. Here is the story, does billboard comparing Obama to alleged shooter go too far, courtesy of kboi2.com. A Caldwell billboard is raising questions in the Treasure Valley as it compares President Obama to accused Colorado killer, James Holmes. A spokesman for the group says everyone has the right to their own opinion. Do they even have to ask? Of course it goes too far. I am no fan of President Obama, but this is simply outrageous. It is also stupid since whatever point these people want to make will be overshadowed by the controversy about the billboard. Then there was a fake kidnapping performed by a church in Pennsylvania. Why would a church stage a kidnapping of a youth group? It was to prepare them for the dangers that come with being missionaries. There story is at foxnews.com. A southeastern Pennsylvania church and a youth pastor are facing criminal charges for a mock kidnapping of a youth group that was meant to be a lesson in religious persecution. The Glad Tidings Assembly of God in Middletown and 28-year-old Andrew David Jordan of Elizabethtown were charged Friday with false imprisonment and simple assault, said Dauphin County District Attorney Ed Marsico. The church staged the event in March. Mock kidnappers covered the teenagers’ heads, put them in a van and interrogated them. Neither the young people nor their parents were told beforehand that it wasn’t real. The mother of a 14-year-old girl filed a complaint with police. “We need to protect children, no matter where the harm occurs,” Marsico said, adding that a grand jury recommended the charges. He noted that some of the teenagers in the group were not members of the church, and that a semi-automatic rifle was displayed in the exercise. A message left at the church was not immediately returned, and there was no phone listing for Jordan. Neither were defense attorneys listed on court papers. Glad Tidings pastor John Lanza said in March that the church was “so saddened” that youth were traumatized during the event, but added that other youth from the church sent emails of support. The church is about 10 miles outside Harrisburg. Lanza said the goal of the exercise was to prepare the youth for what they might encounter as missionaries in foreign countries. He didn’t disclose the names of those involved but said the mock kidnappers included an off-duty police officer and a retired Army captain. “It was a youth event, to illustrate what others have encountered on a regular basis,” he said, adding that the focus of the lesson was “the persecuted church” in other countries. Lanza said the church had conducted similar events at least twice before, without complaints. I can understand wanting to teach the youth group about the persecution that Christians face in other countries and can certainly understand organizing a sort of role-playing/training exercise to help them understand it better, but maybe they should have prepared the kids. Most people would realize that grabbing people, putting bags over their heads, tossing them into a van and brandishing a semi-automatic rifle might just cause the young people to freak out. And this wasn’t the first time they did this? I read this fact check article in the AP concerning the controversial Arms Trade Treaty. It would seem that we have nothing to worry about. If the US signs this treaty, it absolutely will not be used to enact gun control here. Negotiators at the United Nations are working to put final touches on a treaty cracking down on the global, $60 billion business of illicit trading in small arms, a move aimed at curbing violence in some of the most troubled corners of the world. In the United States, gun activists denounce it as an end run around their constitutional right to bear arms. The Constitution’s Second Amendment offers broad protection for weapons ownership by civilians. As recently as 2008, the Supreme Court affirmed this when it struck down a ban on handguns in the District of Columbia, ruling that individuals have a constitutional right to keep guns for self-defense and other purposes. Period. The court also has ruled separately that treaty obligations may not infringe on individual constitutional protections and rights within U.S. borders. This goes back at least to a 1920 ruling that a migratory bird treaty with Canada, which prohibited the hunting or capturing of certain birds, was an unconstitutional interference with states’ rights under the 10th Amendment. Also, the U.N. resolution that authorized drafting of the small arms treaty recognizes the clear-cut right of nations “to regulate internal transfers of arms” and says nothing in the treaty that emerges will affect “constitutional protections on private ownership” of firearms. Beyond that, there are many court rulings spelling out the limits of treaties. And if an act of Congress is inconsistent with a treaty obligation, the law passed by Congress prevails. Legal scholars say this has been well-established, including a long history of cases involving Indian treaties. Various international treaties with Indian tribes were abrogated by Congress – and courts ruled in favor of Congress, much to the displeasure of the tribes. They are right, in that no treaty can override any law enacted by Congress and still less the constitution. Somehow, given the Obama administration’s penchant for simply ignoring the law and the constitution, I feel less than reassured, especially when some Supreme Court Justices believe that foreign laws may be used to establish precedents here. I actually have not paid very much attention to this issue and I can’t comment very much on it. I suspect that the fears of the NRA and others may be exaggerated. I have a feeling, though, that this treaty will be as effective at reducing the international trade in small arms as the Kellog-Briand treaty was in outlawing war. I got an e-mail from Michelle Obama yesterday. Barack’s 51st birthday is coming up. I hope you’ll wish him a happy birthday by signing the card we’re putting together for him. You’ll be adding David, from Indiana, alongside thousands of other supporters’ names — folks from all 50 states, from all different backgrounds. Together, all those names will be impressive — they’ll show the strength of this campaign and our support for Barack. And I know he’s going to love it. These last few months until Election Day won’t be easy — so let’s show Barack we have his back every step of the way. Well, I couldn’t resist a personal appeal from the First Lady, so I signed, and was immediately hit up for a campaign donation. After I signed, I received another e-mail. Thanks for signing President Obama’s card. Want to wish him a happy birthday, or good luck in the months ahead, in your own words? Well, I certainly do want to wish him a happy birthday, so I wrote that I hope he has a very happy birthday, next year in Chicago, or anywhere except the White House. If you look around at contemporary political discourse, you might notice that, to an incredible extent, there is very little actual arguing there is. I do not mean that there is not all too much screaming, shouting, and name-calling in our politics and in the media. What I mean is that there are few logical arguments about policies developed from basic premises. There is a lot of heat and light but little real substance. Instead, what we too often hear are talking points, or statements that are platitudes repeated with very little thought as to what they actually mean, or how they apply to a given situation. These platitudes or cliché’s if you will, are statements like, “it is better that ten guilty men go free than one innocent man be imprisoned” or, “I may not agree with what you said, but I will defend to the death your right to say it” or, “violence never solved anything”. Such statements as these are not entirely untrue, but they’re not actually true either. They are not real arguments, just words and phrase meant to take the place of real arguments. 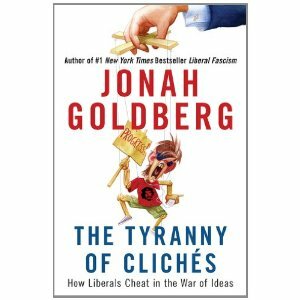 Jonah Goldberg explores this phenomena in his second book, The Tyranny of Clichés. He begins by relating the problem of clichés as I have above. This, he asserts, is largely a problem of the Left who are incessantly accusing the Right of being ideologues while their positions are shaped by practical, nonideological considerations. In fact, the Left’s use of clichés undermines that whole idea that their belief are based solely on logic and facts and actually, many Liberals seem to be very bad at articulating just why they believe what they do. Of course, according to Goldberg, Conservatives really are ideologues. But, he argues, so are Liberals. And, at least, Conservatives, by admitting their ideology can develop their positions logically from basic premises. Liberals, by asserting that they are non-ideological tend to divorce themselves from their theoretical roots and so lose the ability to explain just what their positions are and why they hold them. After this introduction to the problem, Goldberg then spends twenty-four chapters analyzing these clichés and breaking down their meaning, or lack. He shows just why each cliché really doesn’t mean much of anything with the humor that regular readers of his column will appreciate. I think that in many ways, The Tyranny of Clichés is a better book than Jonah Goldberg’s first effort, Liberal Fascism. Goldberg seems more comfortable this time around and more willing to be himself. I think that most readers will find the Tyranny of Clichés interesting and enjoyable.